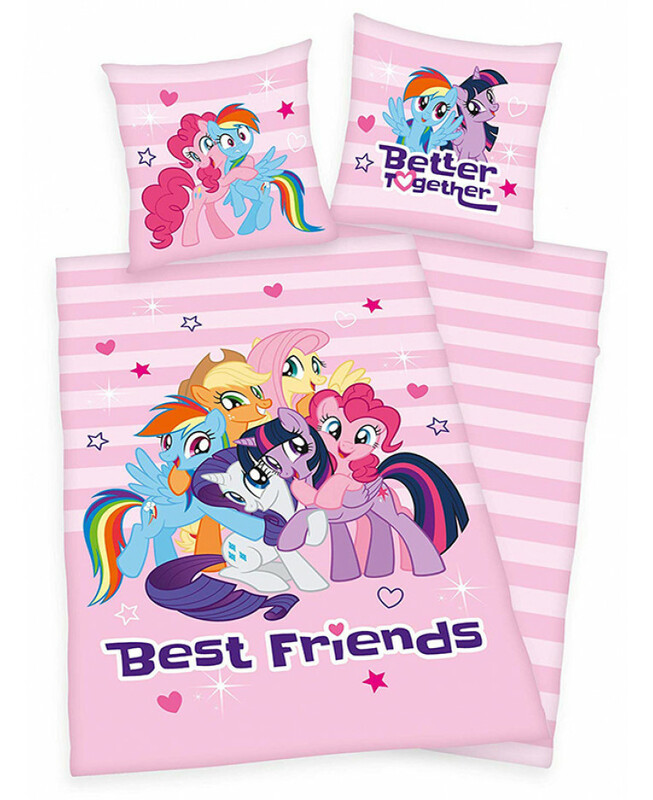 This adorable My Little Pony single duvet cover set is a must for all My Little Pony fans. 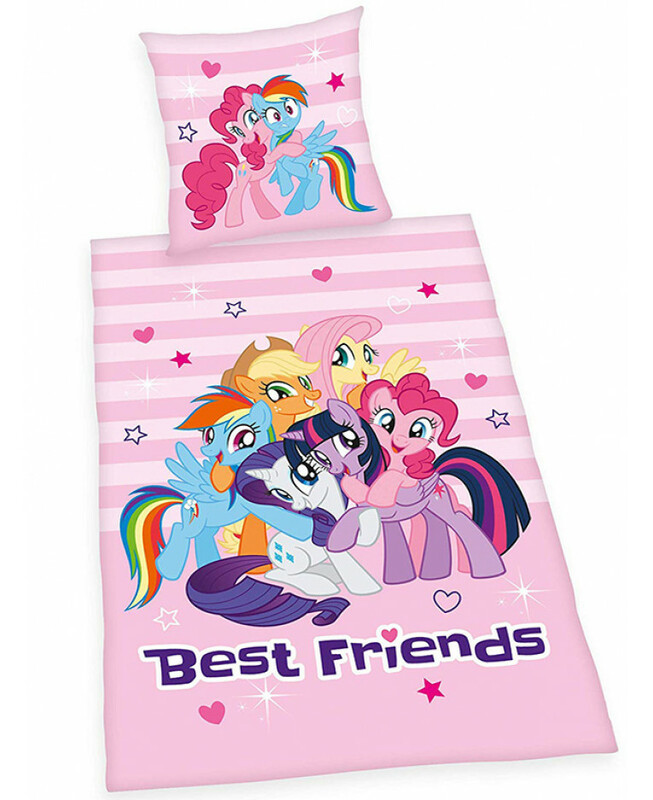 The duvet cover features a great image of Rainbow Dash, Fluttershy, Twilight Sparkle, Pinkie Pie, Applejack and Rarity and Spike on a pretty pink striped background with Best Friends written below them, whilst the reverse echoes the pink striped pattern. 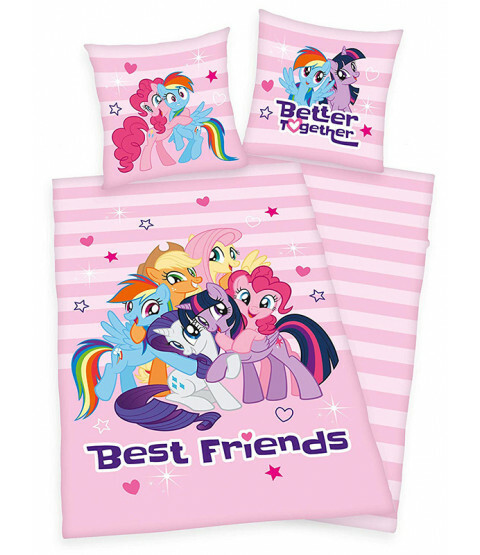 This bedding set is made from 100% cotton and can be machine washed and tumble dried on a low setting.